At Hansen Buildings we will only provide material kits made of high quality components. In fact we trust the quality of our materials so highly that we decided to offer our customers a lifetime warranty. 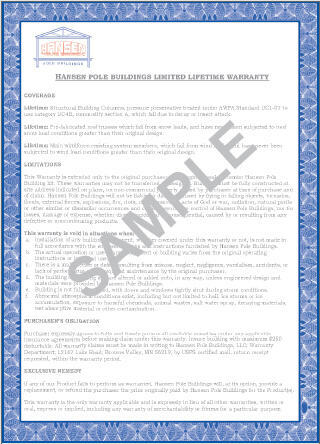 We are the ONLY Pole Building Kit provider to offer a WRITTEN warranty to our customers!.